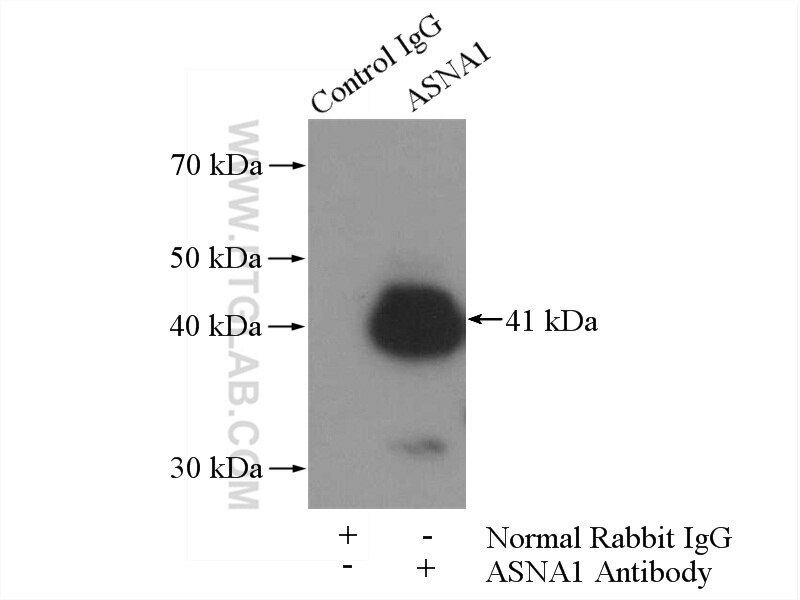 Immunofluorescent analysis of HepG2 cells, using ASNA1 antibody 15450-1-AP at 1:25 dilution and Rhodamine-labeled goat anti-rabbit IgG (red). 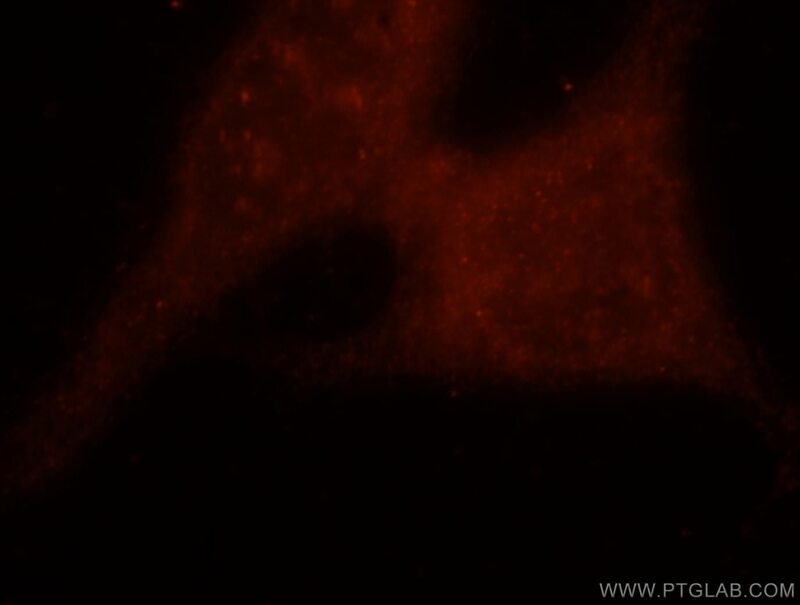 IP Result of anti-ASNA1 (IP:15450-1-AP, 4ug; Detection:15450-1-AP 1:1000) with mouse brain tissue lysate 4000ug. 1X10^6 HepG2 cells were stained with 0.2ug ASNA1 antibody (15450-1-AP, red) and control antibody (blue). Fixed with 90% MeOH blocked with 3% BSA (30 min). 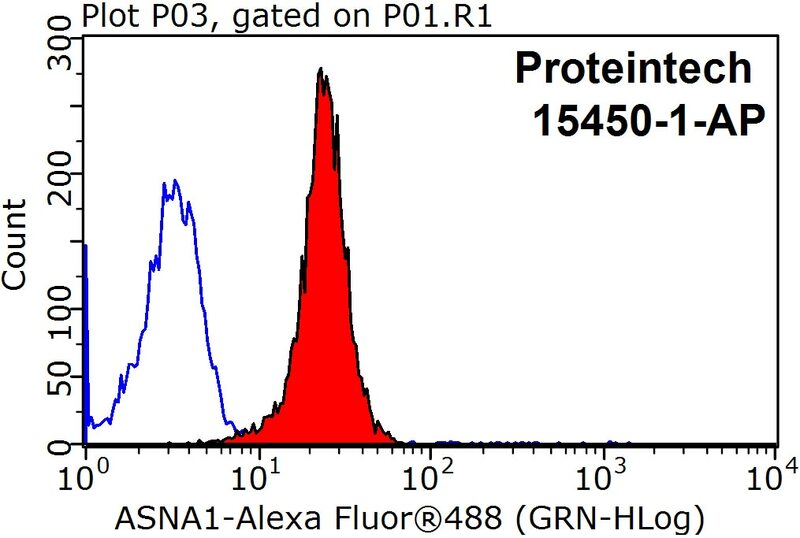 Alexa Fluor 488-conjugated AffiniPure Goat Anti-Rabbit IgG(H+L) with dilution 1:1500. 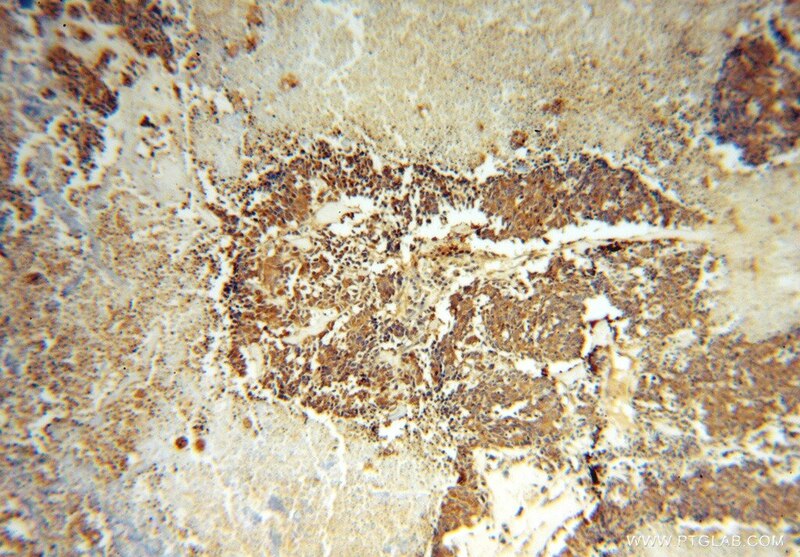 ASNA1 (also known as TRC40) is a highly conserved ATPase involved in efflux of arsenite and antimonite. 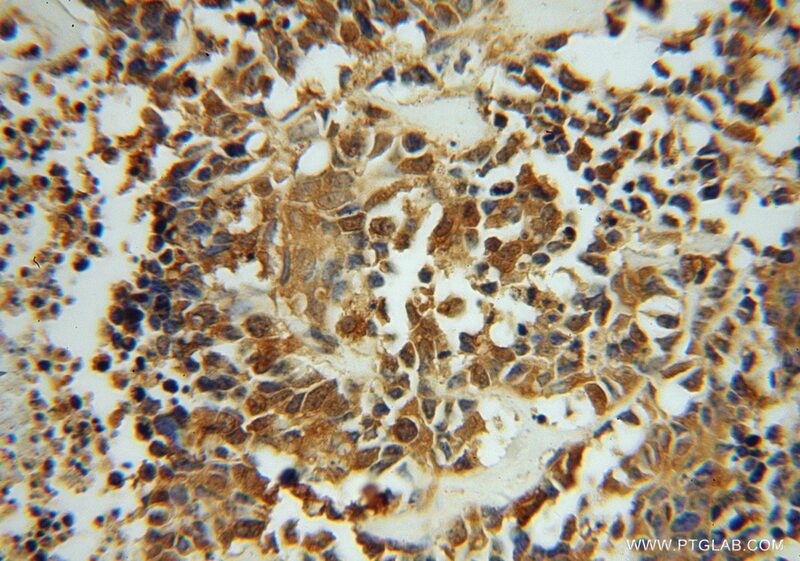 Reduced ASNA1 expression is associated with significant inhibition of cell growth, increased apoptosis and increased sensitivity to cisplatin and arsenite.Thus ASNA1 is proposed to be a target to overcome resistance to cancer chemotherapy. In addition, ASNA1 has been identified as an ER targeting factor for tail-anchored proteins in the posttranslational membrane insertion pathway. Emery-Dreifuss muscular dystrophy mutations impair TRC40-mediated targeting of emerin to the inner nuclear membrane. Molecular machinery for insertion of tail-anchored membrane proteins into the endoplasmic reticulum membrane in mammalian cells.